After the meal, dozens of students took turns at the microphone personally thanking donors for making their education possible. International students and MKs added “thank you” in a tongue perhaps more familiar to them than English. 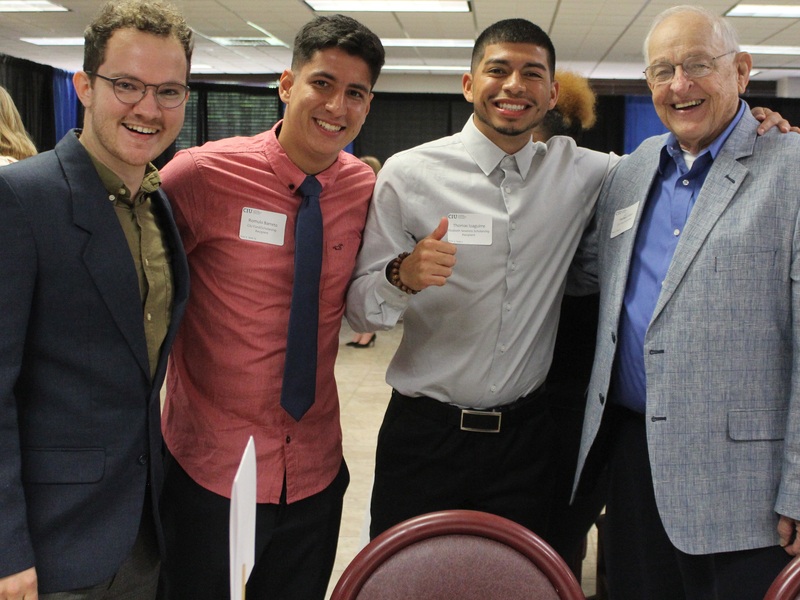 “This event gives me hope and refreshment for our future to sit across from young people who love Jesus and love their neighbor as much as they love themselves,” David Wolff said. The Wolffs live in Florence, South Carolina now, but ministered in Kenya for five years. They were thrilled to be seated with students who have lived in Africa. Emily Flora, a senior majoring in Digital Media & Cinema expressed her gratitude for the donors’ financial assistance. Flora plans to use her degree in church media ministry. For information on how you can assist CIU students as they impact the nations with the message of Christ, contact CIU’s Advancement Office at (803) 807-5006 or email advancement@ciu.edu.